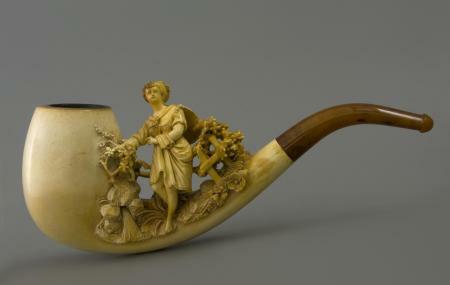 Amsterdam Pipe Museum is one of the best museums in the city known for its iconic architecture and ambience. The museum focuses on varioussmoking pipes, tobacco, and related paraphernalia. Visit the destination and get to know how it all began and be mesmerized by the mere beauty and look of the museum. So visit this museum with your loved ones and you will not be disappointed. How popular is Amsterdam Pipe Museum? People normally club together Het Grachtenhuis and Dam Square while planning their visit to Amsterdam Pipe Museum. Such a wonderful little museum with pipes from all over the world from different periods of time. A volunteer (forgot his name) guided us through the museum and we were very impressed by the width and depth of his knowledge. I highly recommend this place, for smokers and non-smokers alike. It is a must! Even if you do not smoke. The museum is interesting, they hold a huge collection of pipes from all around the world. One member of the personal that works there is super nice, he explains to you everything related to the pipes and their background. Any question you have, he answers. You learn a lot of different topics, a history lesson in many aspects. What a wonderful place to visit. I learned a lot. You are guided through this small museum with interesting stories and information. Well worth the visit. It is truly amazing to see the art on and of pipes. Don't visit this "museum ".The "man", who works at this place, is very aggressive . Don't visit these two old farts . Save your money and time and it's not even an original shop. Go to a real museum , Amsterdam had got so much more to offer . A truly wonderous place to visit; the care, the attention and faithful preservation of the history of pipes is communicated with passion, intellect and insight. Questions are welcomed and given due attention and consideration. A must to visit.